This three base holiday will allow you to choose a walk each day to suit whatever you (or your legs) feel like. 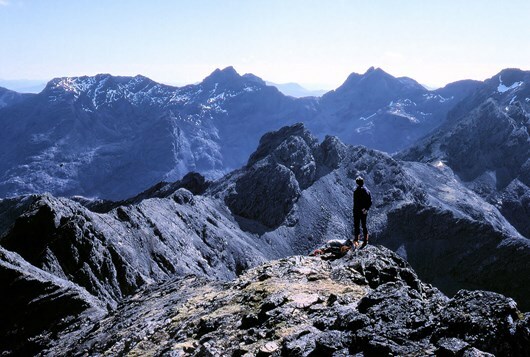 You can walk on the remote and unspoiled Suisnish peninsula, and get right in close to the steep sides of the Cuillin. 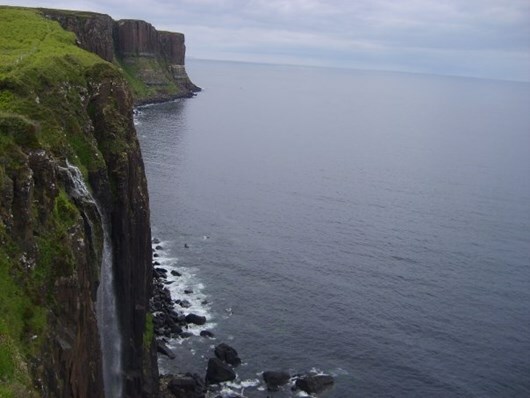 The Isle of Skye is a paradise for walkers. We can help you have an unforgettable island experience, walking by quiet beaches, along remote cliff-tops, by deserted villages, or on a magnificent coast to coast walk through the heart of the Cuillin mountains. This three base holiday will allow you to choose a walk each day to suit whatever you (or your legs) feel like. 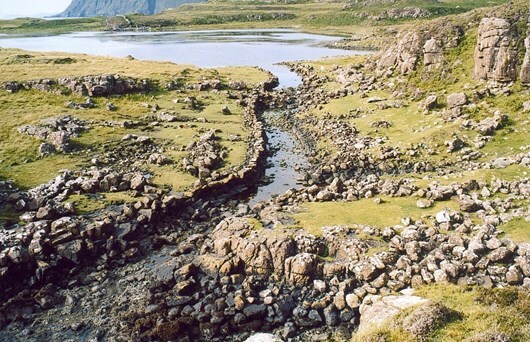 You can walk on the remote and unspoiled Suisnish peninsula, and get right in close to the steep sides of the Cuillin. Single room supplement approx. £25 per person per night. This holiday is not suitable for one person walking alone. Accommodation with full Scottish breakfast in guest houses, or B&Bs in en-suite rooms with friendly local hosts. Bus pass and bus timetables. All the walks are manageable within the time you will need to travel to and from the walks; you will also be advised of a back-up service should you miss the last bus. 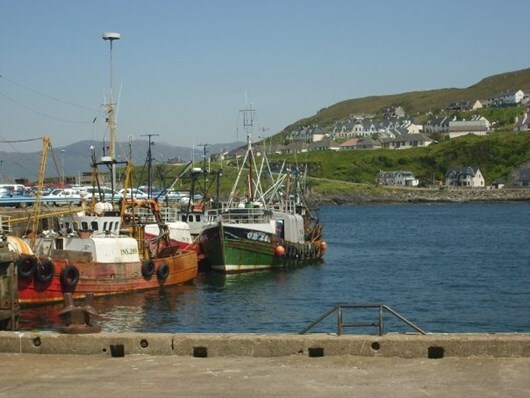 With a direct bus link from Glasgow, Broadford is as accessible as you can get on the islands. 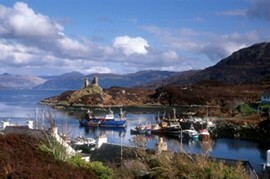 Or travel on the famous West Highland Line and take the ferry and local bus. From Sligachan into the heart of the Cuillin, then by spectacular waterfalls and rock pools – return to Portree for overnight. More fantastic rock formations. Climb to the Old Man of Storr, one of a remarkable set of pinnacles, with the option of walking up to the Storr itself (the highest point on northern Skye) and along the Trotternish Ridge. Overnight Portree. We have carefully selected our accommodation from the best bed and breakfast and in each area. Your hosts are local people, who know about the surrounding countryside, and you are guaranteed a warm welcome. All rooms with en-suite facilities. We can also arrange accommodation in Hotels, usually at an additional cost. It is essential that you are properly equipped and clothed for walking in Scotland. Basic advice on safety is contained in the leaflet “Enjoy the Scottish Hills in Safety,” available from the Scottish Sports Council, Caledonia House, South Gyle, Edinburgh WH12 9DQ, Scotland, UK or ask us.